The three pillars of what’s often dubbed Newt Inc. — two for-profit groups and one defunct political committee — raked in more than $105 million in revenue and donations from 2001 through 2010 while Newt Gingrich was eyeing a political comeback. Now those groups are attracting new scrutiny as the former speaker appears to be gaining momentum and winning new supporters in the race for the GOP presidential nomination. On Monday, the two for-profit groups — the Gingrich Group, a consulting firm, and a think tank, the Center for Health Transformation — responded to a host of inquiries by revealing revenue figures. The organizations said in a statement that from 2001 through 2010 they worked for more than 300 members and clients, many of which are leading health care companies and insurers. The gross revenues from these members and clients came to almost $55 million, the statement said. Gingrich has now reportedly severed ties with both groups. The $55 million in revenues comes on top of more than $50 million that Gingrich’s political committee, American Solutions for Winning the Future, roped in over about four years before going out of business this summer soon after Gingrich kicked off his campaign for the Republican nomination. The leading donor to the political committee during these years was multi-billionaire Las Vegas casino owner Sheldon Adelson, who ponied up $7 million. The health care clients that fueled much of the success of the for-profit groups — some of which have not been previously reported — include: America’s Health Insurance Plans, Blue Cross and Blue Shield Association, WellPoint Inc., and Johnson & Johnson, according to the Center for Health Transformation’s ’s website. Also on the list: the Pharmaceutical Research and Manufacturers of America and the American Hospital Association. Some of these members paid fees as high as $200,000 a year to join the health center, according to the group. It offered numerous services such as teleconferences, four member meetings per year and member-only website content, op-eds and white papers, according to the center’s website. 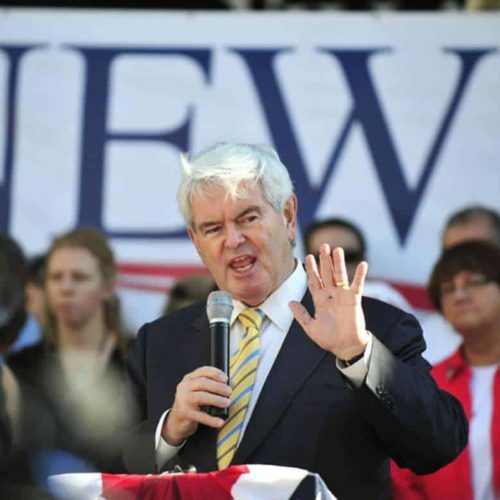 The two for-profit entities worked closely together, according to two veteran consultants close to Newt Inc. One consultant said that members of the health center were not infrequently referred to the Gingrich Group for strategic consulting services. The Gingrich Group also had many other clients including Freddie Mac, which paid it almost $2 million for several years of consulting work. Some academic observers wondered whether the new disclosures might hurt Gingrich, who has surged in the polls even after his campaign was damaged by mass resignations just a few months ago. “He’s trying to depict himself as a Washington outsider, but the financial ties suggest he’s very much an insider,” said John Pitney, a government professor at Claremont McKenna College in California.